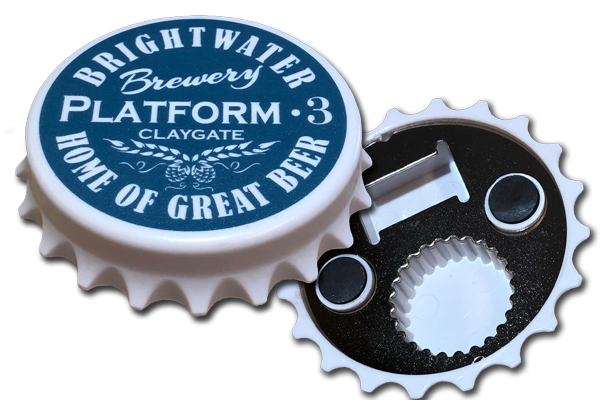 Our magnetic bottle opener has an eye-catching cap design, which can be printed in full colour. Our magnetic bottle opener has an eye-catching cap design, which can be printed in full colour. They have a strong magnet attached to their back so that they stick directly to the fridge or any metal surface. They're a perfect promotional giveaway for bars and beverage companies, or as a gift shop item. If you have any other packing requirements, please let us know.